Carry all your necessities with the XLAB Mini Bag. Don't leave anything to chance, the Mini Bag holds the important items that can make or break your race. It fits down inside the Carbon and Super Wing or attaches to the rear of the Carbon Sonic, Sonic, Turbo, and Mini Wings. 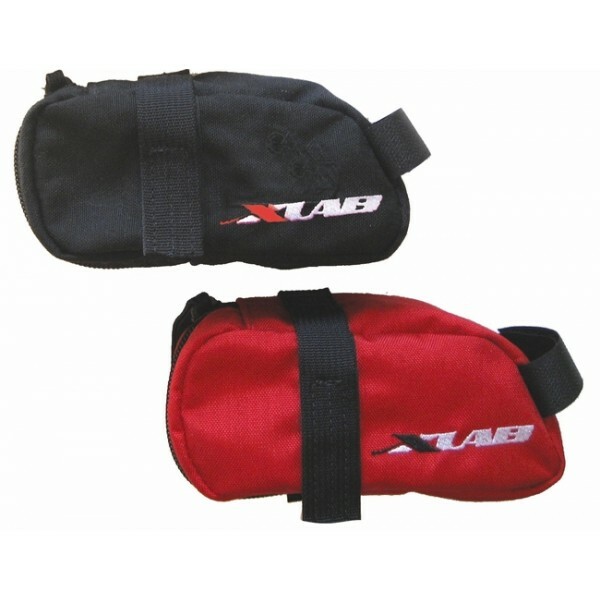 Carry all your necessities with the XLAB Mini Bag. Don't leave anything to chance, the Mini Bag holds the important items that can make or break your race. It fits down inside the Carbon and Super Wing or attaches to the rear of the Carbon Sonic, Sonic, Turbo, and Mini Wings. It's made of tough woven nylon and has durable hook and loop fasteners. And the roomy interior has 24 cubic inches of space. The XLAB Mini Bag holds the essentials, so you can focus on the race. 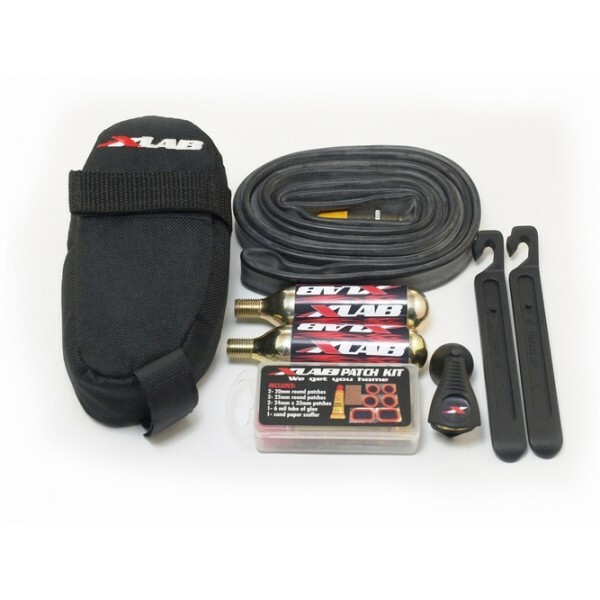 Please note: XLAB Mini Bag does not include, inner tube, C02 cartridges, tire levers, inflator head, or patch kit pictured above.